Peter Dinklage filmed in Spokane before his days of Game of Thrones acclaim. Nearly a year after it hit local theater screens, the Spokane-made, nerd culture comedy/horror Knights of Badassdom is now available to stream on Netflix Instant. 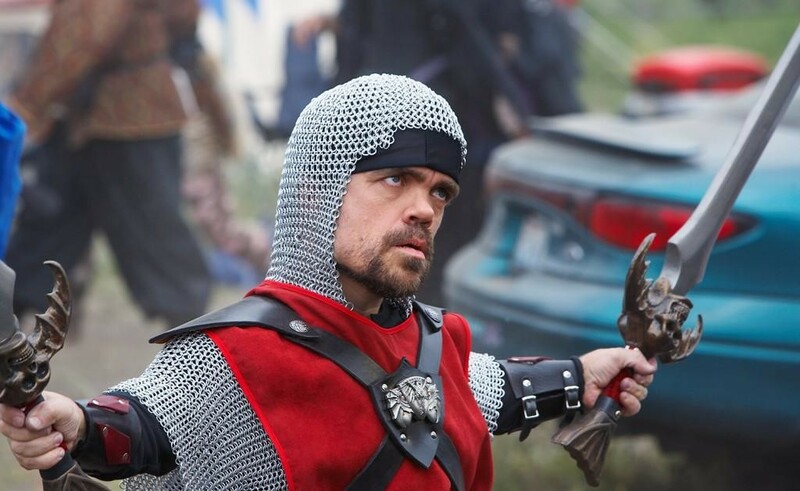 While the film has been available on other video-on-demand platforms for some time at a fee, Netflix subscribers can now watch the fantastical LARP-ing adventures of its all-star cast of characters — played by Peter Dinklage (Game of Thrones), Steve Zahn (Treme), Ryan Kwanten (True Blood), Danny Pudi (Community) and Summer Glau (Firefly) — as part of their subscription package. Knights was shot in and around Spokane by the local production studio North by Northwest back in summer 2010, and before major, breakthrough roles for some of the aforementioned actors. Due to delays in production and distribution, the film wasn't publicly released until January 2014. Speaking of other locally filmed sci-fi adventures, Z Nation is set to release on Netflix Instant this Friday, Jan. 9. Looks like we all have some weekend binge-watching to look forward to.